Straight talking forum for professional pilots. The union web site. You do not have to be a member to visit (but it helps). Guild of Air Pilots And Navigators. Find out more about this worthy institution here. 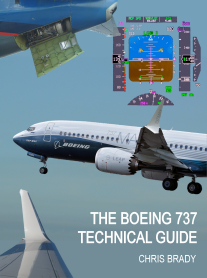 "An international e-mailing list on the subject of FMS, EFIS and EICAS displays, automated subsystems, flight mode annunciators, flight directors, autopilots, and the integration of all avionics equipment in the modern cockpit." Download MCC Pilot Logbook Software which keeps track of all your flights and prints your logbook in just one mouse click. Download your copy of the MNPS Ops Manual 9th Edition at the NATS site. Download the TCAS II Ver 7. "Green Book" here. Download the Honeywell RDR-4B Weather Radar pilots users guide here. Download the Honeywell EGPWS pilots users guide here. Handy compendium of acronyms, terms and definitions by Rockwell Collins. Official reports of accidents to UK registered aircraft. All the new JAR's available for download here. The best list of technical aviation links on the internet from PPRuNe. The magazine we love to read from the back and yes it does have a jobs section. Free online aviation jobs bank. The definitive collection of aviation quotes from American Eagle pilot, Dave English. Aircraft ad search-engine, enabling you to search from over 25,000 aircraft for sale, lease or charter, from sites around the world.